This is the Thanksgiving long weekend in Canada. My vegetable garden has provided in a very sparse way over the summer but it must have felt a harvest celebration coming as it has ended the season quite splendidly. 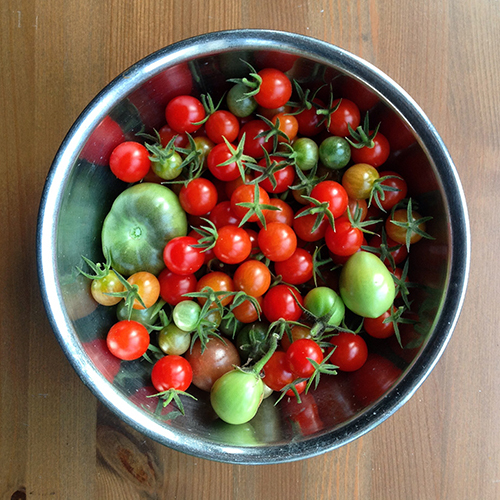 My big tomato plants did not thrive this year but the vines against the house produced a big bowlful of sweet, tiny cherry tomatoes. I brought the tomatoes in on Friday because of heavy frosts predicted over the weekend. For the plants on the ground, I have covered them with sheets the past few nights with the hope of prolonging the season a little longer. The temperatures are supposed to be quite mild this week so I'd like to enjoy the garden as long as I can. 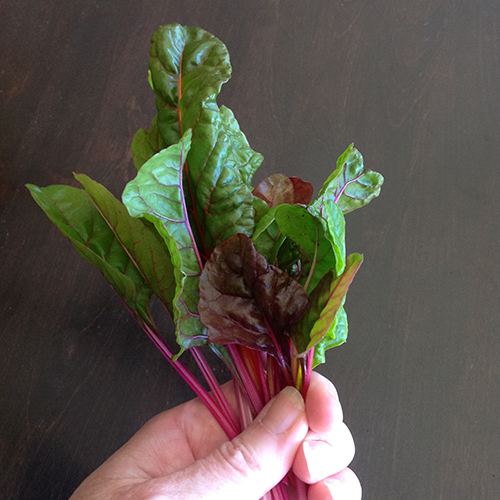 Yesterday, we ate our Thanksgiving dinner and I was able to pick sage, parsley and this sweet bouquet of baby swiss chard to use. 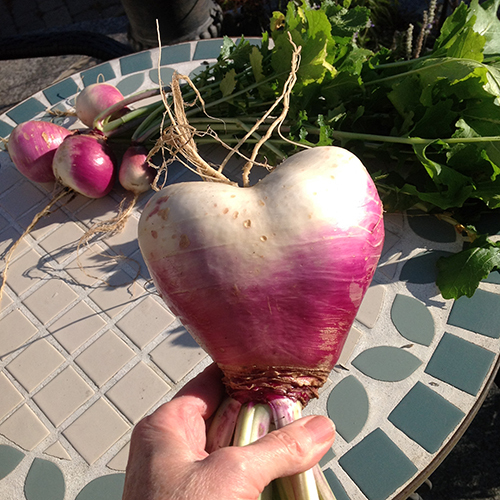 I also picked some turnips and was absolutely delighted to pull out a gigantic turnip heart! Isn't it magnificent? I couldn't stop smiling and then had to run into the house to show everyone. We made a traditional dinner of turkey with dressing and gravy along with roasted carrots and turnips, shredded brussel sprouts and mashed potatoes. For Emma's vegetarian main course and a side dish for the rest of us, I made a 'Roasted beet salad with wild rice, goat cheese and chickpeas'. It was so good! You can find the recipe I used here. Did I mention that Emma was home from university for the weekend?!? We were also very happy that she invited one of her friends from residence, a student who lives near Boston, to share Thanksgiving dinner with us. Emma made one special request when she confirmed she was coming home for the weekend. She asked me to make a pumpkin pie. I was happy to say yes as I love to make pie although I don't make it that often anymore. Was it a success? Um, well. It's possible you heard me yell 'Oh no!' as I pulled it out of the oven. The filling had swollen like a balloon and then returned to its normal level but not before cracking in a million places. Was I disappointed? Yes. Very. I tried to think about Leonard Cohen's 'Anthem' lyrics as they help me sometimes. But here's the thing. Leonard wasn't singing about pumpkin pie. I considered remaking it but that wasn't an option as the turkey was already in the oven. Finally, I heard a murmur from the garden. What was that? Did someone say they could help me? 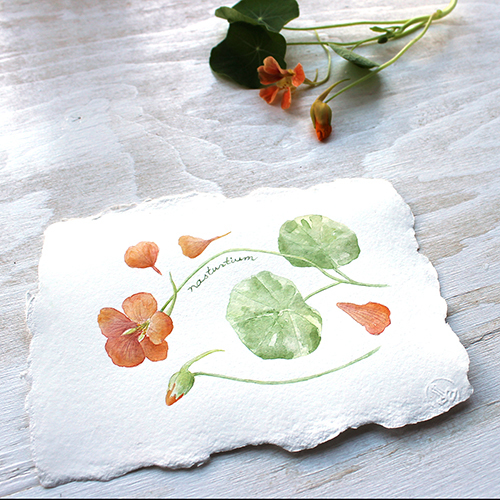 I do believe I heard the nasturtiums whisper something about coming to my aid. And they did. 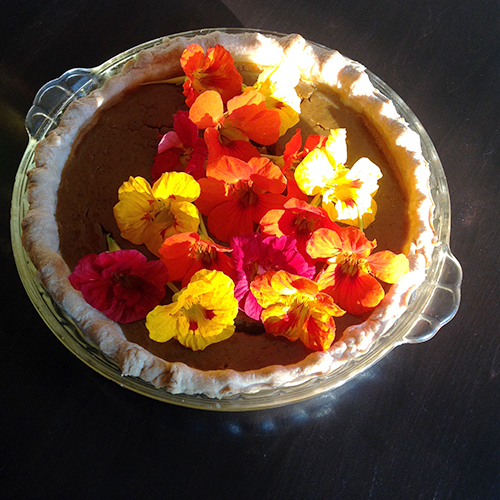 So this Thanksgiving, I am giving thanks for my family, my garden and its harvest, with a particularly warm nod to my nasturtiums who saved the day (or at least the pie). Happy Thanksgiving to all who are celebrating this weekend! I did some research on pumpkin pie cracking and apparently it can be due to overbaking and/or cooling it too quickly. I might have done both. One suggestion is to slightly undercook it by five minutes and then to leave it in the oven, turned off, with the door propped open with a wooden spoon and let it cool gradually. I will definitely give that a try next time. All so bounty-full ! You love your garden & it loves you back, my friend !! Looks like you had a lovely holiday. 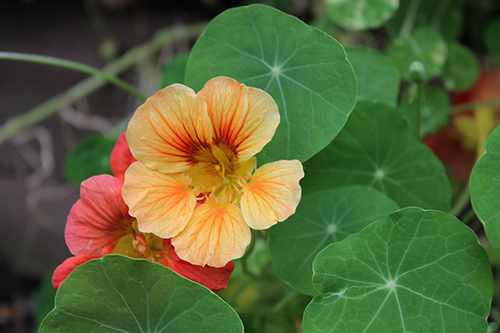 And hooray for the nasturtiums! haha good save on the pie! :) looks wonderful. One of the family dogs finished off the remainder of one of the deserts we had made for our get together. Oh, that turnip! What a little garden miracle! 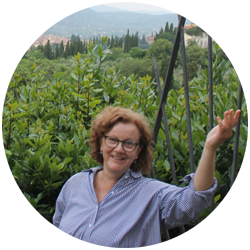 Your garden that you love, it loves YOU right back! That little picture just made my day! What a joy!